Do you watch Top Chef, Iron Chef, Hell’s Kitchen or Chopped? Reality TV has stepped into the restaurant kitchen featuring all the drama and flavor foodies are looking for. You ask, “Is it really that intense and crazy in the kitchen?” Absolutely! 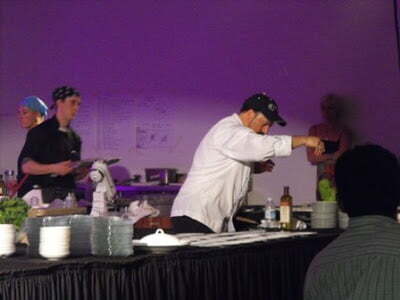 I have participated in many cooking competitions and timed events over the years and it is every bit of fun and exhausting. But I love it. 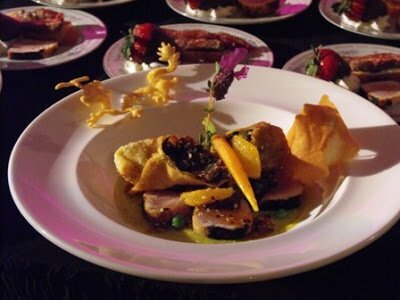 A couple weeks ago I competed in the 1st Annual Iron Chef Redding which was a fundraiser event for the new North Valley Co-Op. We faced all of the challenges and twists that you would see on TV. No matter how prepared and well laid out your strategy, you can never guess what’s really going to happen when the clock starts. Will your equipment work? Will you indeed have the ingredients you want to make the dish that you have in mind? In the end, despite the trials and thinking on your feet non-stop for an hour, it’s over and the judges now have the opportunity to ‘enjoy’ all of your labor. You take a deep breath, thankful it’s over and then for the next several days, you wonder what could I have done different? You see, I am my own worst judge. Though the judges’ table may give glowing and/or constructive remarks, I know in my heart there is always more that I could have done. Was the theme right? Did the ingredients compliment eachother? Was it pleasing to the eye? How was the balance? Bottom line, did it taste good? Now the tables are turned and I am in the judges’ seat for the Last Recipe Standing contest with the Record Searchlight/Redding.com. We have worked our way through a plethora of recipes, looking at their composition and flow, testing them in the kitchen, narrowing them down to 8 semi-finalists. I can only imagine the anticipation of everyone that participated in the contest. Now it’s up to the judging of the community, the winner’s fate is in their hands. In a couple weeks the winner will be announced at the Taste of Redding on June 6th at City Hall. I will share more on this soon. To close, I want to send congratulations out to Wes Matthews, chef at Market Street Steakhouse for attaining the honor of Iron Chef Redding. 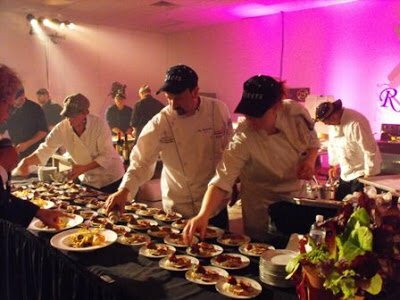 For another view from someone who participated in this year’s Iron Chef Redding, please read this article by one of our judges, Doni Greenberg. It provides a wonderful insight to an onlookers point of view.